SAN FRANCISCO -- Tesla assured investors its highly anticipated Model 3 sedan is on track to begin production, mitigating concerns that the carmaker led by Elon Musk is burning through more cash to bring the vehicle to market. The Model 3 remains on schedule for output to start in July, Tesla said Wednesday as it reported first-quarter earnings results in a letter to shareholders. Tesla lost $330 million -- a bigger deficit than analysts estimated. Cash burn was the second most in the company’s history, behind only the final period of last year. The net losses grew 17 percent from the same quarter last year. Musk, 45, has flagged plans to spend heavily during the first half of this year to bring out Tesla’s most affordable car to date. Keeping the sedan’s arrival on course is essential to supporting Tesla’s high-flying share price north of $300 per share, which vaulted the company’s valuation past the much larger and profitable General Motors and Ford Motor Co. last month. Tesla shares were trading down slightly at about $306 in premarketing trading on Thursday morning. In the first quarter, Tesla burned through $622.4 million -- about half the amount raised in equity and debt offerings earlier this year. The company expects to roughly triple capital expenditures in the second quarter compared with the first three months. 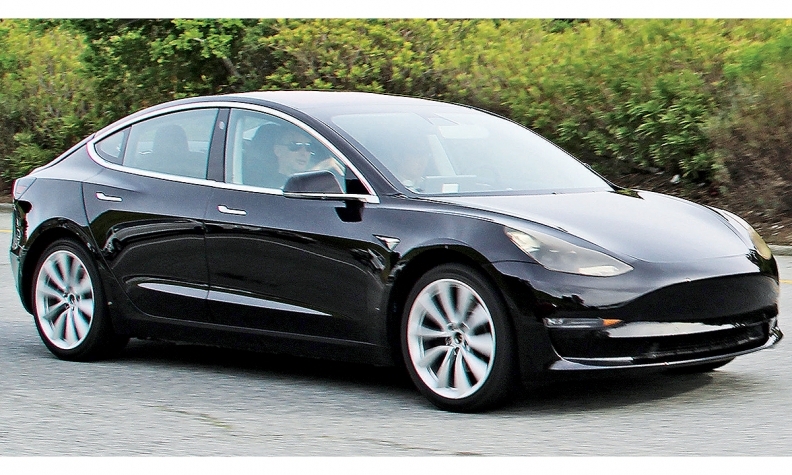 The rollout of the Model 3 sedan will give an indication of how much the enigmatic Musk learned from mistakes made with the Model X crossover. First introduced in late 2015, the vehicle was marred by design changes, parts shortages and build problems. In March, Musk tweeted that the Model 3 would be designed for greater ease of manufacturing, calling the car “just a smaller, more affordable version of Model S,” with “less range & power & fewer features.” Tesla reinforced this in its letter to shareholders. The Model 3 is expected to start at $35,000 before options or incentives, with a battery range of at least 215 miles per charge. The first vehicles made will go to employees of Tesla and SpaceX, the Musk-led rocket company. Although Tesla projects delivering as many as 50,000 vehicles during the first half of the year, the company hasn’t given a forecast for how many it will ship during the second half of the year. Tesla last year acquired SolarCity Corp. to create an integrated clean-energy company that can supply solar roofs and battery storage devices. The deal was controversial because SolarCity’s debt was swelling amid a shift in consumer demand toward purchases of rooftop systems rather than the decades-long leases that made up most of the company’s business. For the first quarter, Tesla reported deployed 150 megawatts of solar energy, down from the 214 megawatts SolarCity installed a year earlier.